Last week I received an e-mail BritMums were looking for mummy bloggers to write about the savings you can make at Morrisons, as they have now cut a lot of the food prices - I of course replied never thinking for one moment that I would get chosen for this opportunity - the Tuesday after I had applied an envelope dropped through my letterbox containing £80 Morrisons vouchers and a letter saying I had been chosen to be a #MorrisonsMum for the weekend! I actually couldn't believe it I was ecstatic to say the least. I enlisted the help of my dad and Adam, Liam was at school and we set off to Morrisons with bargains in mind, I couldn't wait to see how much the food was and what was on the shelves you see I don't often shop at Morrisons as previously I have always found it to be more expensive and it is a little bit out of the way. I didn't realise until last week that they offer an online shopping service, I am told they have been offering this service for ages - no one told me! 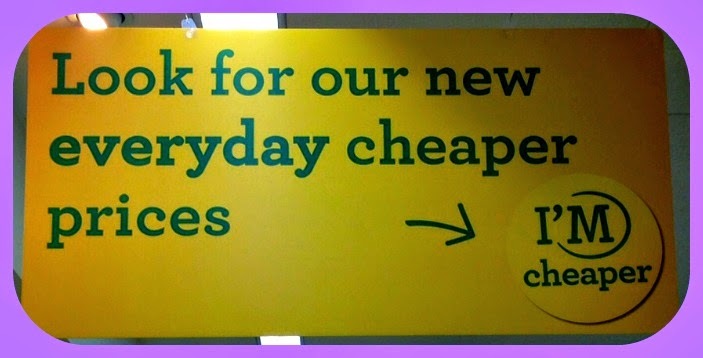 When we reached Morrisons the first thing we were greeted with was a huge sign saying look for our new everyday cheaper prices with an arrow saying im cheaper - I found myself smiling and nodding to the sign . As we walked around the Morrisons store, their were practically stickers on most thing and if you don't notice the stickers on the food there are big yellow stickers on the floors pointing out the prices of the food that has been made cheaper, I have to say it did help to make shopping just that little bit easier being able to see the prices, so you can make better choices for a cheaper shop! 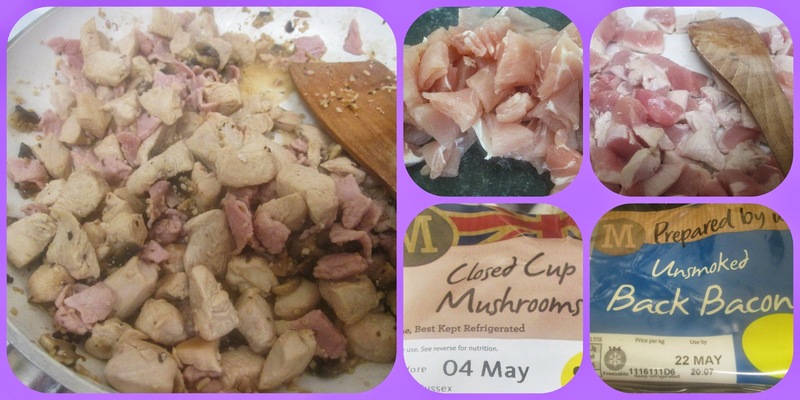 They're just a few of the bargains, but there really were so many to choose from, For our bank holiday meal I decided to make a Healthy Meaty Spaghetti Carbonara surprise because the boys love pasta and it is one of my favourite meals. Cook the spaghetti according to the packet, meanwhile place a large frying pan sprayed with fry light over a medium heat, Add the chicken and fry until it lightly browned then add the bacon and mushrooms and stir fry for 2-3 minutes or until lightly browned, Add the garlic and stir fry for 30 seconds, then set aside. 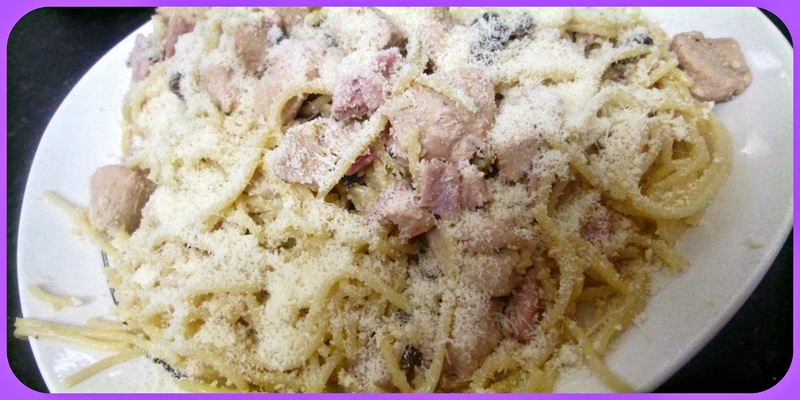 divide the Carbonara between four, add fresh parsley to the top to decorate if you wish, this meal is real easy it literally takes around 15 minutes to make and is very good if your on a budget! The meal actually in total costs a fantastic £6.86p so that is £1.71p per person and to be honest the portions could really stretch to another two people, a fantastic price wouldn't you agree! I would go back to Morrisons in the future, some of the prices are great others I would say average the other supermarket prices so I would say Morrisons are not more expensive there prices have certainly dropped and are looking like they're going to be staying that way which is great news for us mums! 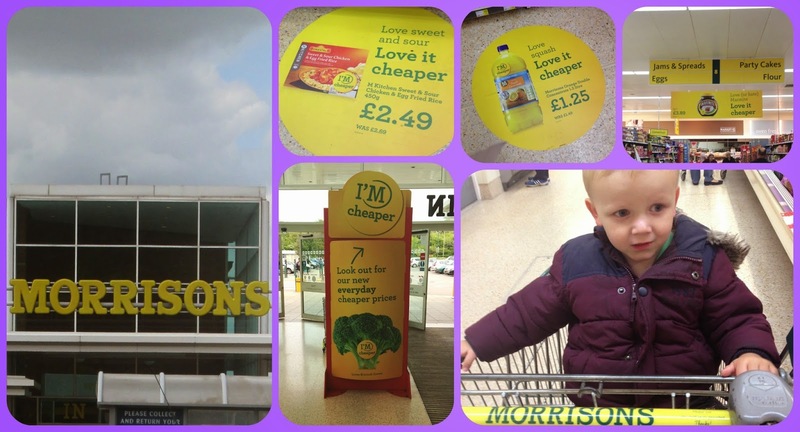 We really enjoyed our bank holiday shop so thank you to Britmums and Morrisons why not go down to your local store and see what you can save money on I would definitely recommend it and I would love to hear about your savings!